Manchester United youngster Sam Johnstone is attracting some positive reviews on loan at the Villa Park. Aston Villa are currently the inform club in the second tier of English league football, and have now won six of their last seven games in the domestic league. A number of players have been in excellent shape recently, with the whole squad performing as a team, with every player putting in some serious contributions in recent games. The Villa defense has been solid as they have kept six clean sheets, one each in their six wins in the last seven games and there has been a lot of praise for the defenders of the side. However, one player who is receiving a lot of credit for this run of form is on-loan Manchester United goalkeeper Sam Johnstone. 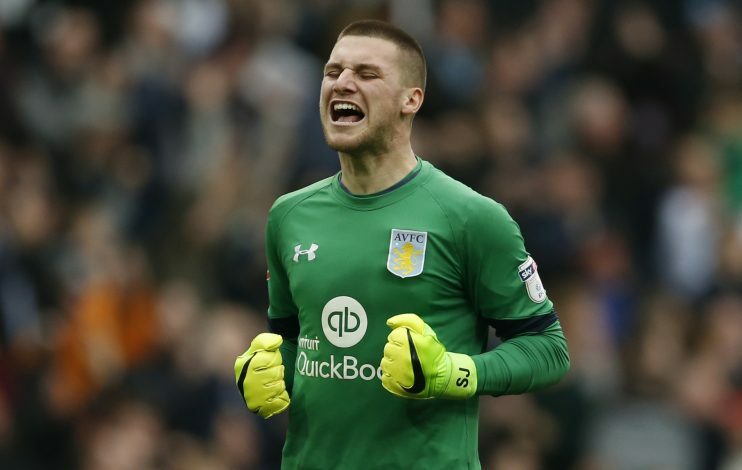 Turning into one of the best goalkeepers in the Championship in terms of the numbers, Johnstone is starting to improve according to Steve Bruce the Villa coach. Speaking to the Birmingham Mail, Bruce revealed that Villa goalkeeping coach Gary Walsh has been telling him that Johnstone is ‘the best young goalkeeper in the country. “We all knew he was a top class goalkeeper and he’s looking the part now,” said Bruce. He also went on to praise the attitude and the work rate of the Welsh shot-stopper and revealed what Gary Welsh keeps telling him. “He’s starting to look the part as everyone told me he would. He’s a diamond – first in, last out. He’s a typical goalkeeper who wants to learn. A big pat on the back to my coach, Walshy, too. He’s worked hard with him and has always said to me ‘take him, he’s the best young goalkeeper in the country’. It’s some recommendation,” he added.